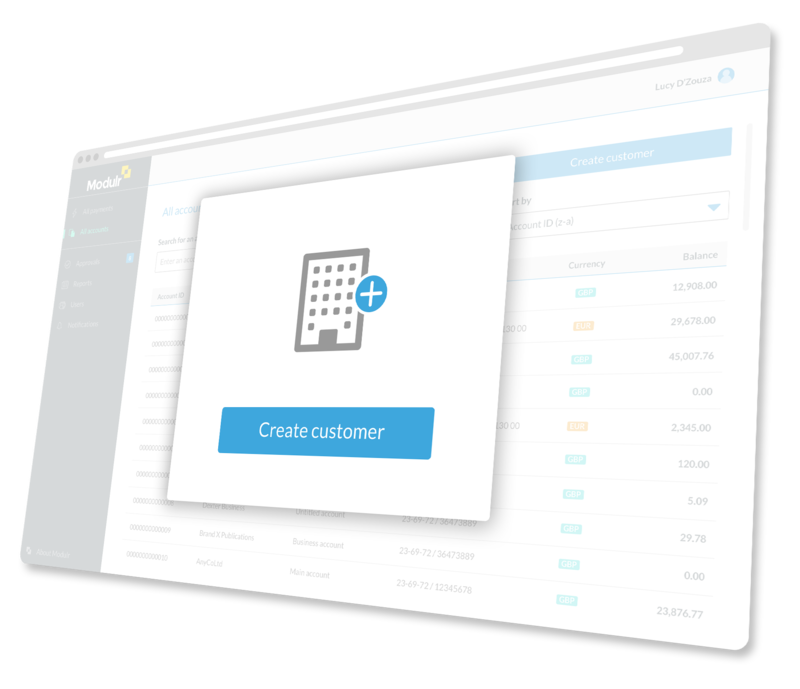 Our fully integrated API platform means you can completely focus on growing your business, and not dealing with outdated and complicated payment processes. Latest security practices including mutli-factor authentication, session management, activity observation and penetration testing. We have developed a highly flexible and configurable platform to suit your business's needs. 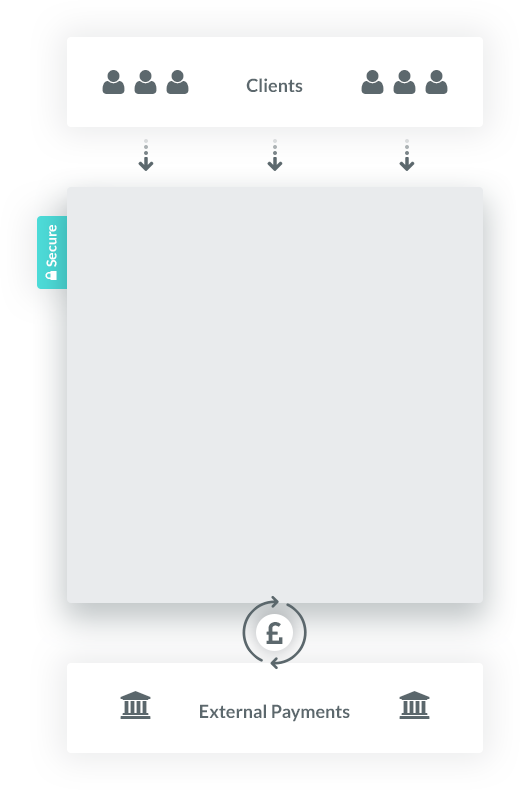 Flexible accounts Create dedicated sort code & account numbers instantly online or via the API. Leverage the on-demand segregation of funds whenever your business process requires it. Create simple or complex account structures that support your business model. Whether you need to manage client funds, collections, payments or fees our payments accounts give you unparalleled control over funds flow. Payments logic engine Move money the way your business needs to. Use our powerful payments logic engine to automate the flow of funds through your business. 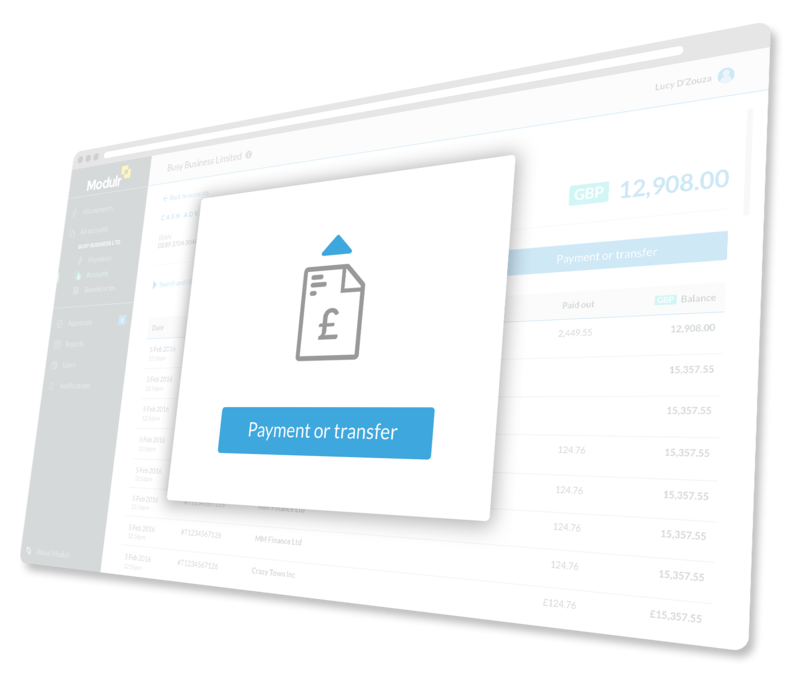 Create rules to pool collected funds across multiple accounts, split received transactions, extract commissions or fees from the flow or automate account transfers and payments. 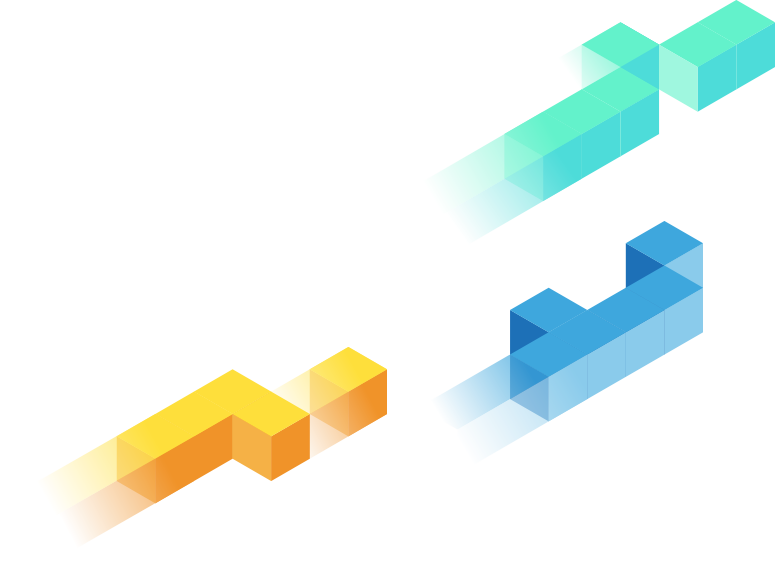 For businesses with complex requirements, integrate our API into your platform to drive your fund movements. Rich instant data Access transactional and event information instantly online and via the API. 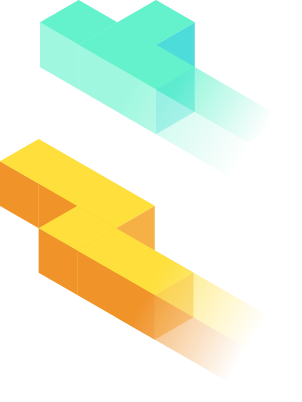 Integrate our API webhooks and know straight away when transactions arrive or fail to reach their destination. Secure Security of data and funds is paramount in everything we do. We've built a bank-grade security environment that combines seamless user experience with modern security practices in authentication and session management, activity observation and penetration testing. Works with your bank There's no need to change your current bank account, Modulr accounts work alongside your existing banking relationship. 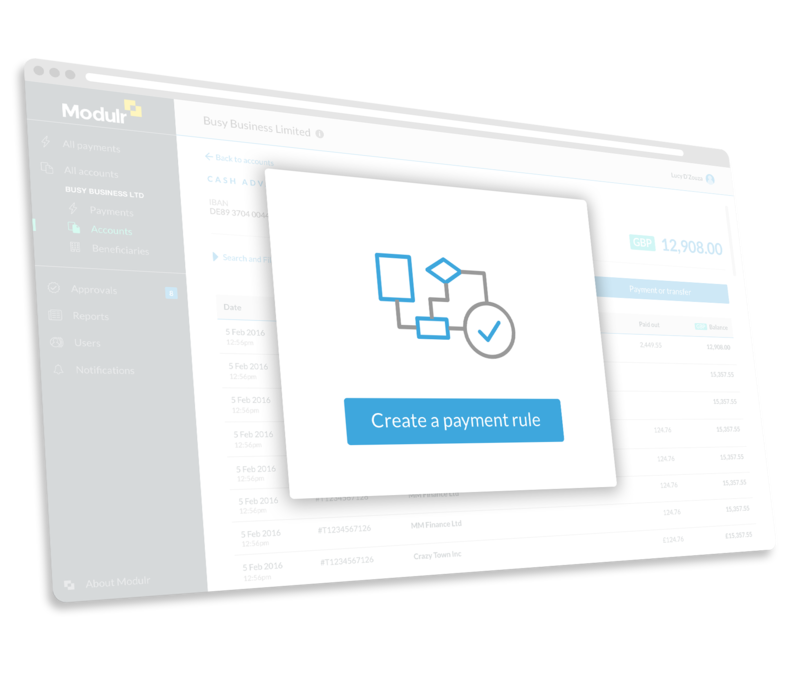 Interested to see how Modulr could help your business payments? Get in touch to request more information or a free demo. How could Modulr work for you? Our solution is already being used across a variety of sectors and use cases.